Breaking News... 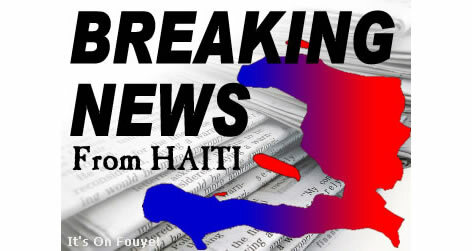 There is a large group of protesters leaving Carrefour, Port-au-Prince Haiti, Sunday, and they are heading towards the National Palace to ask President Jovenel Moise to step down according to a radio station in the capital. One protester in the streets said they are ready to put barricades in the streets and interrupt daily life in Haiti unless president Jovenel steps down. Update: According to the latest news reports, these protesters were faces with tear gas in the area of Bicentenaire. There are reports that a couple of street protesters were wounded by gunshots by police.